1st Project boast being the only drumming act to receive 2 South African Music Award nominations; win a World Music Award in China, as well as the first South African band to have a full one hour music special on MNET and across DSTV South Africa, Africa and Asia. DURATION: 2 x 20 minute sets for maximum impact one 30-minute set is recommended. Do you suffer from percussive aggressive behaviour? PLAY IT TO BREAK IT! 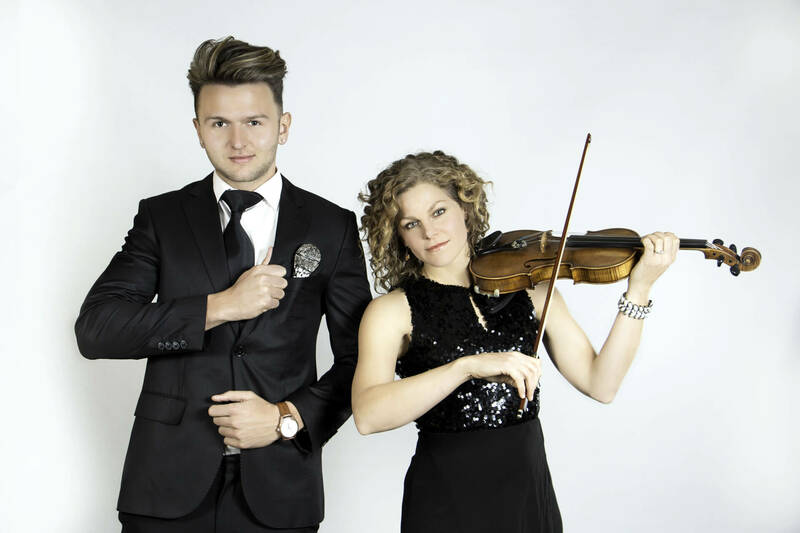 The show combines an edginess of beat-boxer with the sophisticated virtouso element of a violinist. The idea is to show how two different worlds can combine and work together to create greater impact. Classic melodies meet street-smart beats. Morgan begins the show by wow-ing the audience with the variety of sounds a beat-boxer can make with their vocal chords. At some point he hums a simple tune like the beginning of the well-known ‘Fur Elise’. Kristel on violin echoes this theme off stage. Gradually the idea of two worlds colliding is unfolded through a medley of songs ranging from well-known classics and South African Favourites to contemporary hits. A male vocalist can also be added to create a bigger impact. A glamorous, pre-dinner must have! 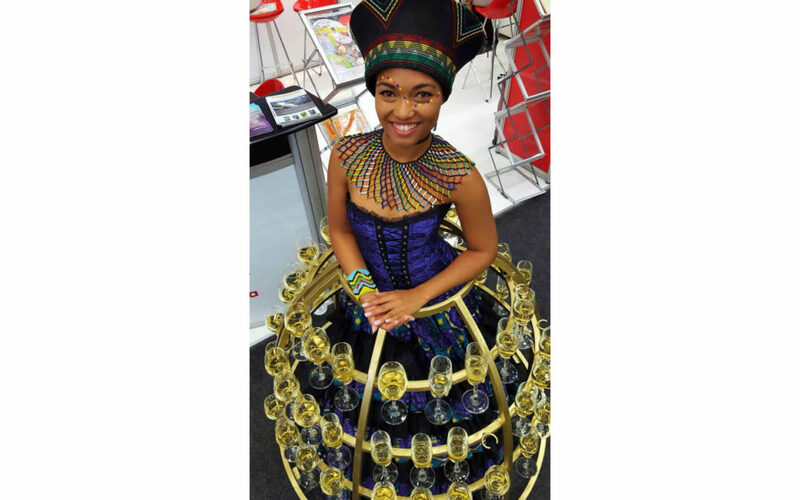 Our Champagne Skirt holds 50 glasses and is 1m high x 1.25m in diameter. 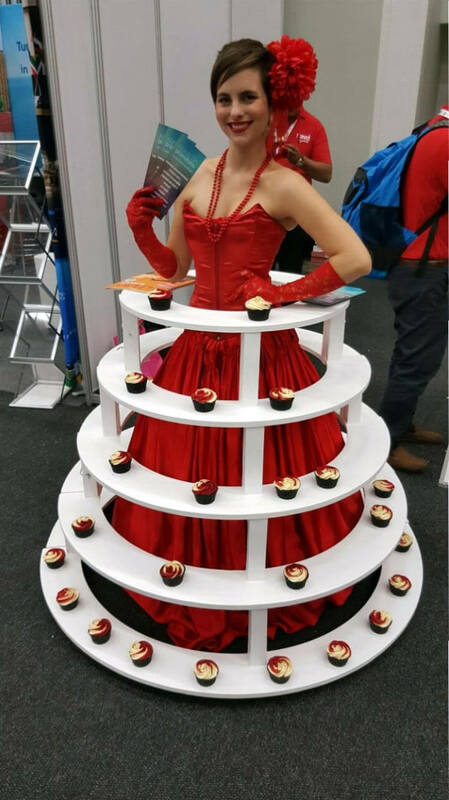 Our beautiful hostess can be dressed according to your event theme or colours. Client to please provide the glasses and poured champagne, with easy loading bay for stand delivery. 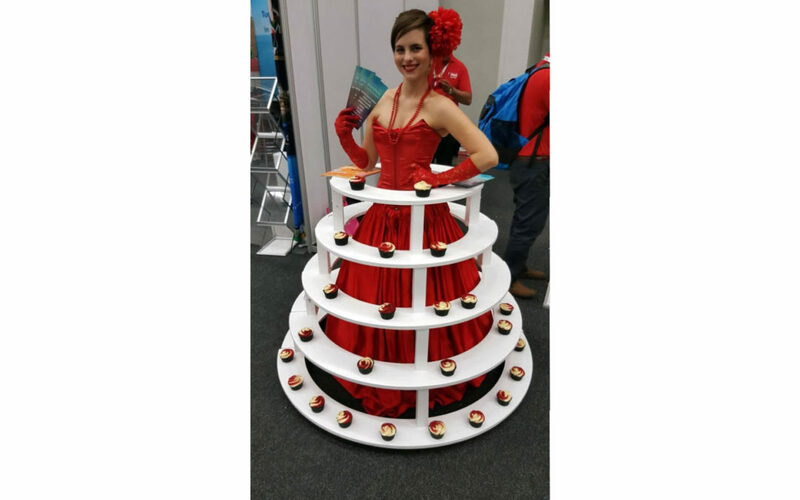 Our unique Cupcake skirt 1m high x 1.4m in diameter, a distinctive way to serve starters or dessert at your next event. 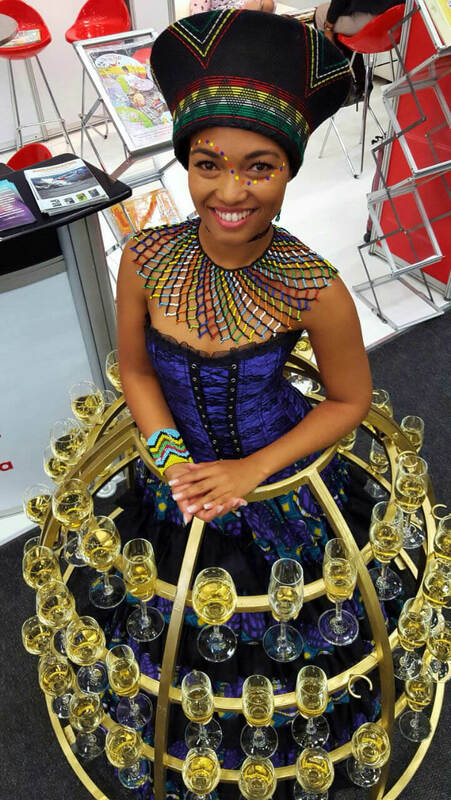 While our beautiful hostesses are themed to your requirements and interact with guests. 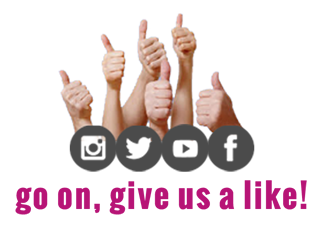 Client to provide items to be placed on skirt, can roam around on smooth surfaces. An aerial violin performance that is simply elegant and beautiful. 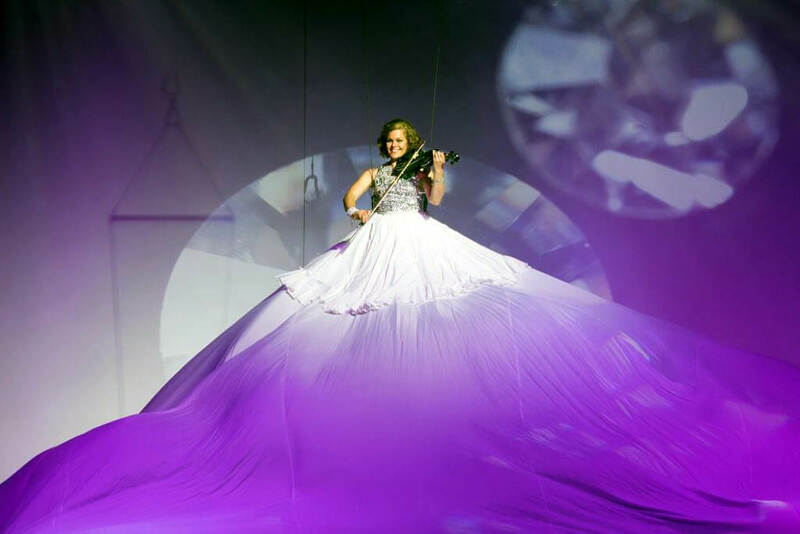 The aerial violinist (Kristel Birkholtz) floats ethereally above the guests in a larger than life flowing and undulating white dress as she tantalizes ears and hearts with the soaring sounds of her violin. The dress acts as a beautiful projection surface for logos images and lighting. 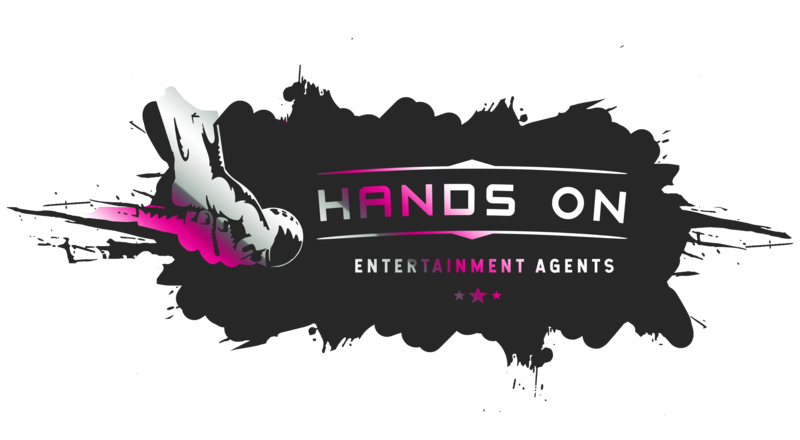 This act is a fantastic addition to an event delivering a specific message or simply awe inspiring entertainment. Length of a performance is roughly 12 minutes and includes dancers manipulating the ends of the dress in waves and gentle billows.